Novoselic used a couple of RD Artist basses during his touring time with Nirvana. Launched in 1977, the RD Artist was Gibson's first attempt at active electronics, it featured complex expansion/compression circuits designed by Bob Moog which allowed a wide range of sounds and effects. It had no passive mode. 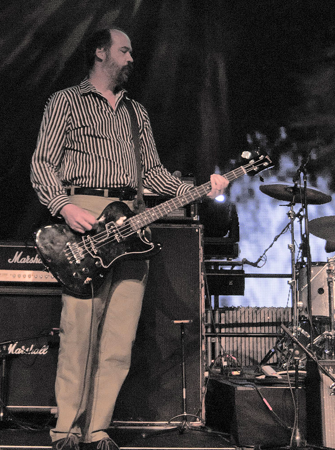 Note: This is not the bass that Novoselic famously threw in the air and hit himself in the head with at the 1992 MTV Video Music Awards. That was a Gibson Ripper model.